Taking a small step into the unknown. Part 1. What a world wind the past two weeks have been. Just over a week ago I received my Leaving Cert results (state exams in Ireland that get you into college), and a week since I was accepted to my first choice of college! Some details: I’m going to be studying New Media and English in the University of Limerick. This is exciting as this particular college is one of the most modern in Ireland. There are lots of of cool societies to join. For me it’ll be the badminton one, the drama one and I want to try and set up a filmmaking one since there isn’t one. Getting very ambitious aren’t I? I guess it’s something I really want to do and since I haven’t had many opportunities to do it at home I am going to try introduce it to the college. Fingers crossed it’ll work out. This college has over 70 clubs and societies to join. It is one of the biggest campuses in Ireland. It’s scary! I went up there on August 24th to get a tour of my accommodation in Dromroe. Dromroe is a good place to live because we are situated near the main building, we have a Spar (food shop) next door to our apartment block. We got a tour of the Sports facilities, the main Foundation building. There is a 50m swimming pool, and indoor running track, indoor football pitches and at least two stadiums. It’s incredible! The main feeling I got from the whole college was that it was so massive and that everything was so modern. When I heard that there are on average 12,000 students involved with the college in any year I felt butterflies in my stomach. That’s a hell of a lot of people for someone coming from a primary school of about 100 to a secondary of about 400 people. I will be living with five other people, two other girls and three boys and it is likely I will never have met these people before. That’s getting me a little bit nervous as I’m not usually great with talking to strangers, let alone living with them for the whole year! Of course I’m sure that I’ll get to know them after a couple of weeks, but before I meet them and when I’m left alone at the place when my parents go I know I’m going to be nervous. ARGH. I know I’m going to be terrified. I’m scared that I won’t find my way around, that I’ll be late to my first lecture, that I’ll be too shy to talk to anyone. Fears. Fears. Fears. Just the thought of leaving home scares me. The longest I’ve spent away from home was two weeks and that was four years ago. This is like moving away from my house, from my county to a completely different place two and half hours away. I’m worried that I’ll lose people I’ve been friendly with in Greenhill for the past six years because we’re dispersed all over the country. Obviously we’ll meet up but I’m scared we’ll lose touch and I don’t want that to happen. I’ll miss secondary school, god I’ll miss sitting in maths class among my friends in my comfort zone. I'll miss little banters at lunch time in the GPA. I hate the fact that we'll never be together as a proper group ever again after the Debs. Unless we organize something. College is going to be a great experience, I know that and I am probably over thinking the whole thing. Positives are there are a few people from my year doing the same course as me which is great, going to college will make me a more independent and hopefully a more confident person. I’ll make new friends, learn new things, explore new places. I got a massive package from UL talking about fees, invoices, the consequences if I or any of my house mates break stuff in the house. Apparently if you break a plastic basin there’s a cost of €7.50? If one person goes over the heating quota, every single person in the house has to pay for it. So many rules to remember, so many things to bring with me, passport, PPS number. Am I suddenly turning into a proper adult over night?!? I'm sorry if this post is a little depressing. Haha I'm just writing this in the hopes that someone out there can help calm me down! I hope to write about my first week in college so please stayed tuned for that! 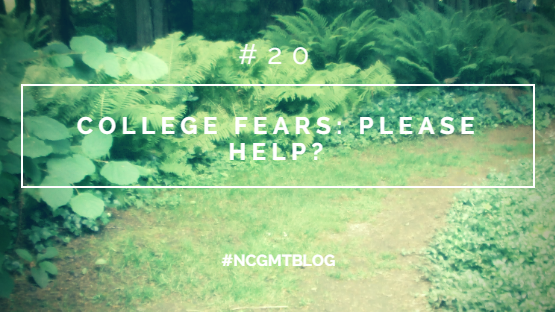 Have you any tips for surviving the first week of college? Ahh this post is so nice! It's kinda wat everyone feels. 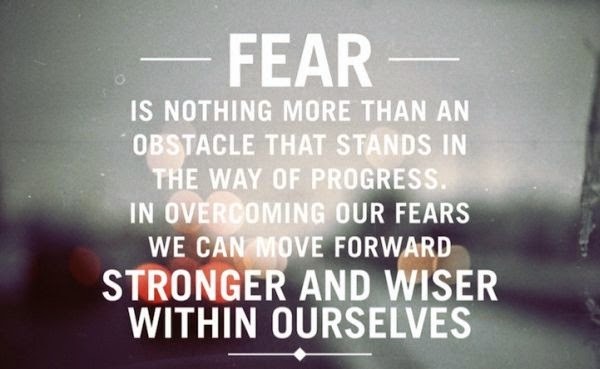 Fear is wat everyone has, deep down or update surfacing. But hope wil change things. It's interesting though we all are different in our own ways deep under we all feel the same. We are humans, unlike tress even though uprooting frm the most comfortable place will make us only better.